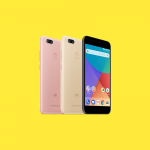 The Xiaomi Mi A1 is the Chinese company’s first and so-far only device in the Android One program. It’s no surprise to see why the device is so popular in the West. It has near stock Android and Xiaomi’s signature mix of decent specifications at a low price. 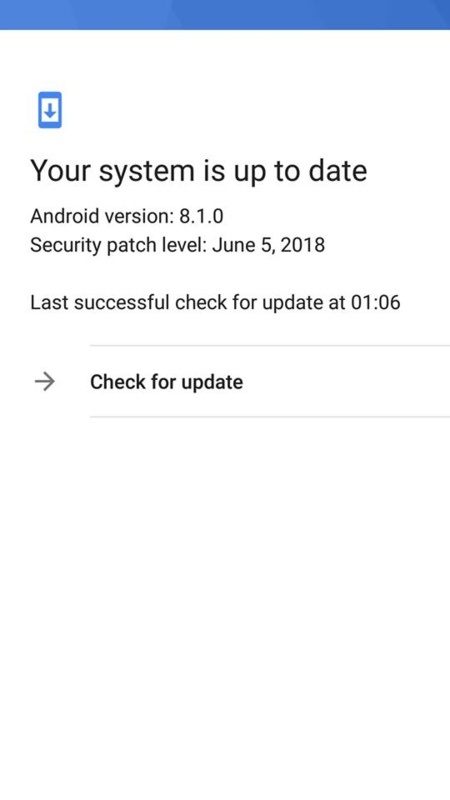 The device launched with Android 7.1 Nougat on board but later received an update to Android 8.0 Oreo. 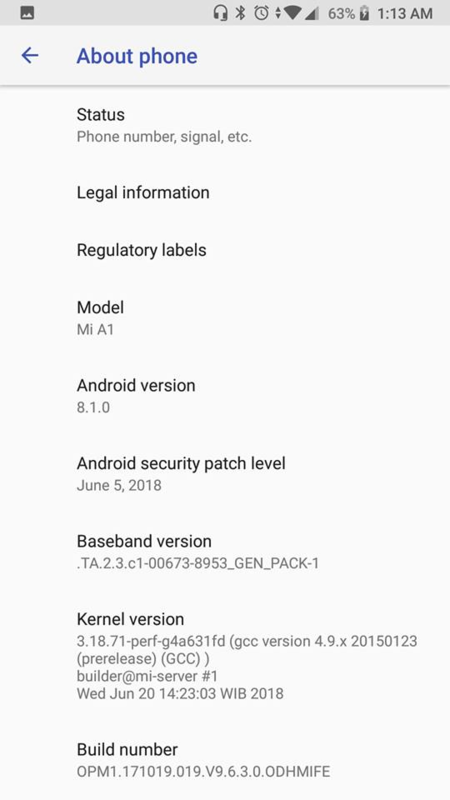 After months of waiting, it seems that Xiaomi is now rolling out the official Android 8.1 Oreo update for the device. We’ve been anticipating the Android 8.1 Oreo update for the Xiaomi Mi A1 for some time. A beta update leaked for the device at the end of April but apart from beta leaks hinting at an imminent launch, we haven’t heard any official confirmation that the update would be rolling out today. It’s great that Xiaomi is still supporting their one-and-only Android One device even while the company marches full steam ahead with their MIUI 10 launches. 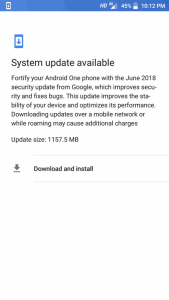 XDA Senior Member joeyhuab reports that they received a 1.1GB update with the June security patches. 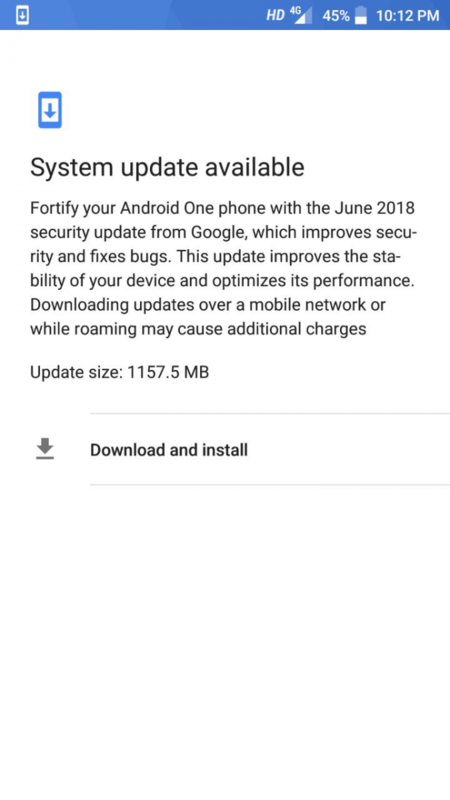 The update seems to be rolling out globally with reports from users in India and the Philippines getting the OTA. Go to setting and mash that “check for updates” button to see if it’s available for you! 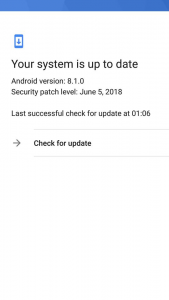 Android 8.1 Oreo doesn’t offer that many notable feature upgrades over 8.0 Oreo, though there are a few improvements such as the ability to view the battery level of connected Bluetooth devices and notification rate limiting to prevent abuse by apps. 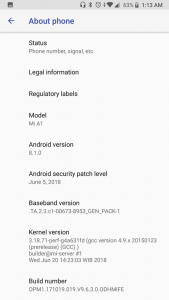 For those of you looking for a more feature-filled version of Android 8.1, then be sure to check out official LineageOS 15.1 which will drop soon for the Xiaomi Mi A1 along with several other devices that support A/B partitions for seamless updates. Some users are reporting that their entire SMS history was wiped after updating. We cannot verify this. XDA Senior Member joeyhuab reports this did not happen for them. Update: It apparently happens after you swipe away the messages app. Be warned before updating that this could happen to you. If you’re concerned with this happening, be sure to make a backup of your SMS.